According to Traditional Chinese Medicine, spring is the time when your liver is active. When you liver is balanced you will experience the smooth flow of chi (or energy) and blood in your body. If your liver is unbalanced, then you might experience mood swings, frustration, and headaches. We have over 30 yoga classes to support you in transitional into spring in our membership community, yoga classes for your liver, spring cleanse retreats, and vata, kapha and pita dosha videos for spring transitions. I will put those links in our show notes for our members and a direct link to become a member if you would like to join us to take advantage of these resources. But we are here today to support our liver with beets! Beets are cleansing and detoxifying for our liver and so they will help our liver with the smooth flow of chi and blood in our bodies. (L-theanine helps reduce stress by inducing a relaxing effect without drowsiness, and reduces the perception of stress. L-theanine also increases alpha brainwaves which help calm an anxious brain, and can slightly improve attention spans. 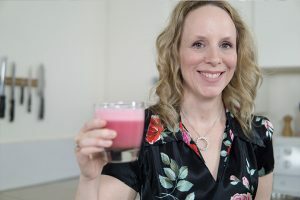 Thanks so much for watching all the way to the end and making this adorable pink beetroot latte with me. As you know I love my fabulous finishers. 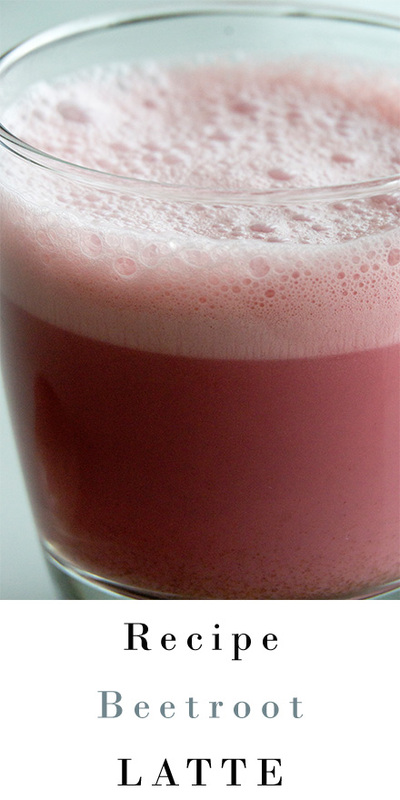 If you made it all the way to the end put, “this pink beetroot latte is so pretty” in the comments. Thanks for pressing the like button and sharing this video on your social platforms. I will see you next week with some stretches for standing all day.